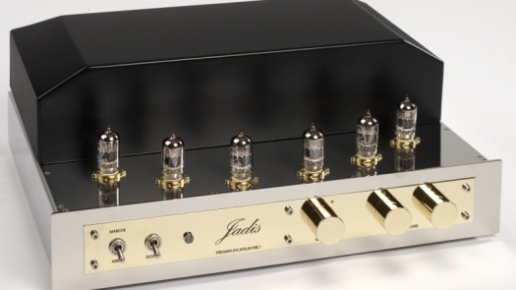 The Pré1 is the brand new line stéreo preamplifier from Jadis. It is a perfect match with the also brand new PA100 power amplifier. 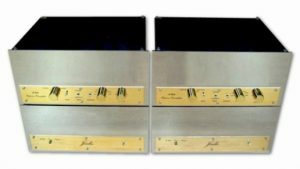 This preamplifier can come in either fully balanced or single ended version. The design clearly shows that this unit was developed in the pure Jadis tradition of building quality and musicality. 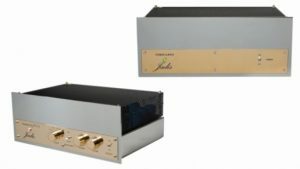 The new Jadis Pré1 will bring high musicality to any power amplifier it is connected, astonishing dynamic, transparency with plenty of details and remains homogeneous on any kind of music. 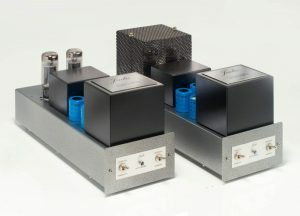 This preamplifier will with no doubt allow you to give the best of your system. 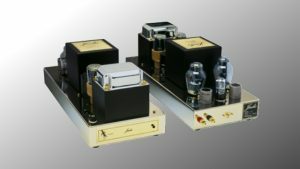 “The listening of these tubes electronics is to be remembered as one of the best that we were given to listen. Perhaps not the most refined when compared to direct heating triode single stage configuration but still really close to it. On the other hand, they take an uncontested advantage in terms of dynamic and power output. In the end, this duo is extremely musical and lively with an impressing tonal accuracy and punch. No need to focus to unscramble the message as it gets your attention by its communicative realism”.